LAFARGEVILLE, NY – With last weeks improved weather in the North Country, track crews and employees were hard at work over the weekend making final preparations for this weekends 100 lap, $10,000 to win Big Block Super DIRTcar Series event. 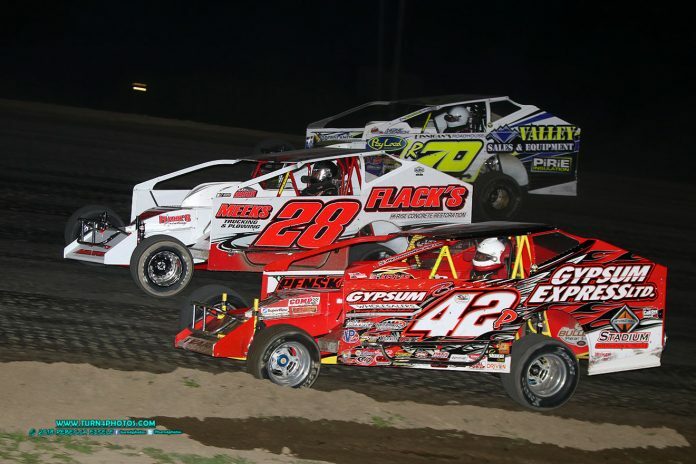 Fans and racers have not only waited all winter, but many years to see the return of the Super DIRTcar Big Block Series on the fast 1/2 mile clay oval in LaFargeville NY. The track surface was close to race ready this past Sunday afternoon, the grounds have been cleaned up and concession stands are waiting the arrival of the food and beverage trucks for this weekends much anticipated event. 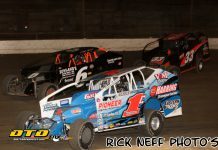 A huge field of Big Block/358 Modifieds is expected for the early season 100 lapper, as well as full fields of DIRTcar Sportsman and Open 4 Cylinders as they both compete for $1000 to win, plus the winners trophy. Pit gates will open at noon, with grandstand ticket windows opening at 1:30, hot laps will hit the track at 3:45 followed by time trials for the Super DIRTcar Series stars at 4:15, the first race of 2019 will see the green flag wave at 5:00. 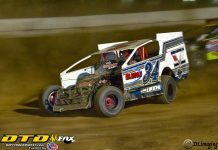 We will be updating our Facebook page at Can-Am Speedway throughout the week or you can call the Speedway at 315-876-3478.